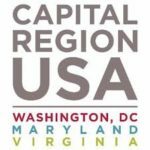 Northern Virginia is home to a spirited mix of history, culture, dining, and shopping - all showcased in the eclectic destinations of Alexandria, Arlington, Fairfax County, Loudoun County, and Prince William County. Adjacent to Washington, DC but purely Virginia, we invite you to visit us - and experience for yourself our diverse region which showcases the best America has to offer. Adjacent to Washington, DC but purely Virginia, we invite you to visit us - and experience the best America has to offer. WANDER THE ROMANTIC COBBLESTONE STREETS OF OLD TOWN ALEXANDRIA AND DISCOVER STYLISH BOUTIQUES, HISTORIC SITES, WATERFRONT DINING, AND TREASURE-FILLED GALLERIES. NATIONAL HISTORY AND LOCAL FLAVOR IN LIVELY, WALKABLE NEIGHBORHOODS NEXT TO WASHINGTON, D.C.
Home to historical treasures, world-class performing arts, a sophisticated culinary scene, and abundant outdoor adventures – all situated in the heart of Northern Virginia. 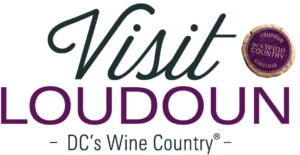 IF FINE WINE IS AN ART FORM, THEN LOUDOUN COUNTY IS A GALLERY OF WORLD-CLASS PROPORTIONS. LISTEN FOR ECHOES OF HISTORY ON THE BATTLEFIELDS AND GASPS OF EXCITEMENT IN BOUTIQUE SHOPS, QUAINT RESTAURANTS, AND BREATHTAKING MUSEUMS.